44-year-old Tommy Baker was attacked after he left a gym on Friday. Tommy Baker was from Everton and a father of two. He had a grown-up son and teenager. that's where he was shot twice in the head and the chest. A postmortem examination confirmed it was a result of gunshot wounds. car and waited for him. The killer then sped away towards Liverpool city centre. Officers say motorists may have had to take action to avoid the vehicle. at this stage, they don't know the motive. a few miles outside the city centre. and they're looking at CCTV footage. and are appealing for witnesses. Shabnam Younus-Jewell, BBC North West Tonight, Liverpool. attempt to disarm warplanes bound for Saudi Arabia. to prevent them from being delivered to the Saudi government. to mark Chinese New Year. in the festivities, as Juliet Phillips reports. It's not a year for mollycoddling. It's a year to, sort of, get down to business. then the way will be paved for accomplishment and success. home to Europe's oldest Chinese community. Schoolchildren this week were treated to a lion dance performance. Back in Manchester, the streets were crowded. The city has the largest population of Chinese people outside of London. it always pours down, but this year it's really great. everyone is just having a great time. It is much better than I have had in Hong Kong. This was a very lovely one. 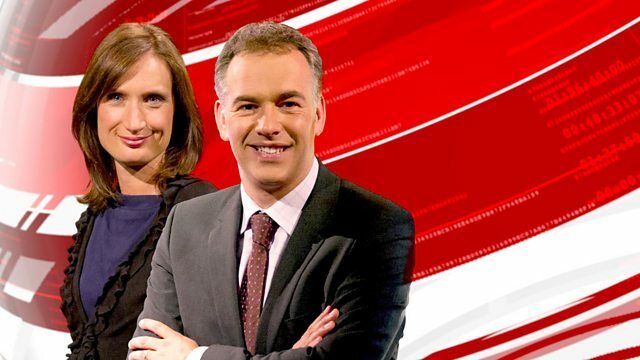 Juliet Phillips, BBC North West Tonight, Manchester. Now let's take a look at the weather. is going to continue over the next couple of days. so the rain is easing off over the course of tonight. to push across the region. Highs of around seven Celsius, there. but noticeably milder for the next few days. We'll be back at 6.25 tomorrow morning.